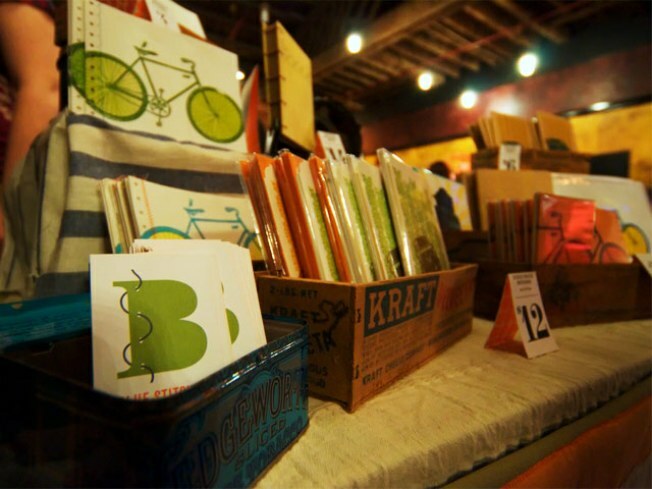 Snapped at last year's Handmade Cavalcade in Brooklyn: Indie shopping at its best. Sink your shopping dollars in the local economy this Saturday when you shop at the Spring Handmade Cavalcade, an annual event held by TheNewNew, a loose coalition of local independent artists and artisans and sponsored by Etsy, Brooklyn General, and a host of other organizations. So what's for sale? Everything and everything, as long as it's handmade, high-quality, unique and (almost always) eco-friendly: clothing, home décor, jewelry, accessories, paper goods, bath and body products, toys, baked goods, you name it.